Having fencing installed in your Swansea, Illinois, yard is an excellent way to enhance the security and privacy of your property. For expert fence installation, call on Chesley Fence & Deck. Having served local homeowners since 1967, we have earned a reputation as the region’s premier fence installer by providing outstanding customer service and installation. We also provide only premium materials and can install them according to your exact specifications. Unlike some of our competitors, all of our fencing is also installed by our own employees, not subcontractors. Our technicians must meet the most stringent installation standards, so you can rest assured your new fence will stand strong for years to come. It is no wonder that that we have installed more fences than any other company in the region. 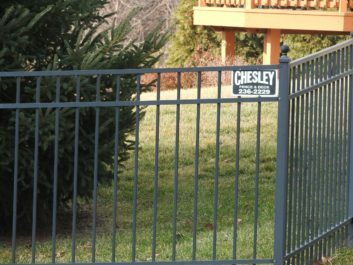 Contact Chesley Fence & Deck today to learn more about for the premium fencing we install for homeowners living in the Swansea, IL, area.